This is a very sweet, short, holiday story. We start with Adam running for his life from the pests that have infiltrated his new house. I thought Adam's outlook on life was hilarious and loved his character. Garrett is in pest control, but his business isn't doing so well. He is written as an older character, but I didn't get the impression that he was truly that old. When he answers a frantic call from Adam, he can't help but be intrigued. Here is this nerdy but oh so attractive man who is praising him for doing his job. When it is apparent that they both have a strong attraction to each other, you get to see the beginning of a potent and wonderful relationship. 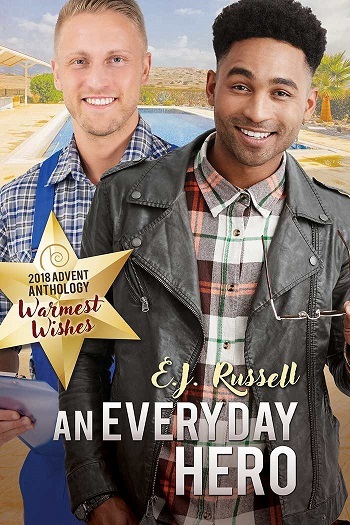 Reviewers on the Wicked Reads Review Team were provided a free copy of Warmest Wishes: An Everyday Hero by E.J. Russell to read and review.